Times of the Islands – Seek-and-Go-Hide? TCI has a variety of choices for homeowners seeking seclusion. The Turks & Caicos Islands today are a well known Caribbean vacation destination noted for glorious beaches, a peaceful atmosphere and friendly people. Providenciales — the most developed island with a profusion of upmarket resorts and condominiums, gourmet restaurants and an array of activities both in-the-water and out — claims much fame. But for those seeking serious hideaway, TCI’s trove of private communities offers an intriguing alternative. 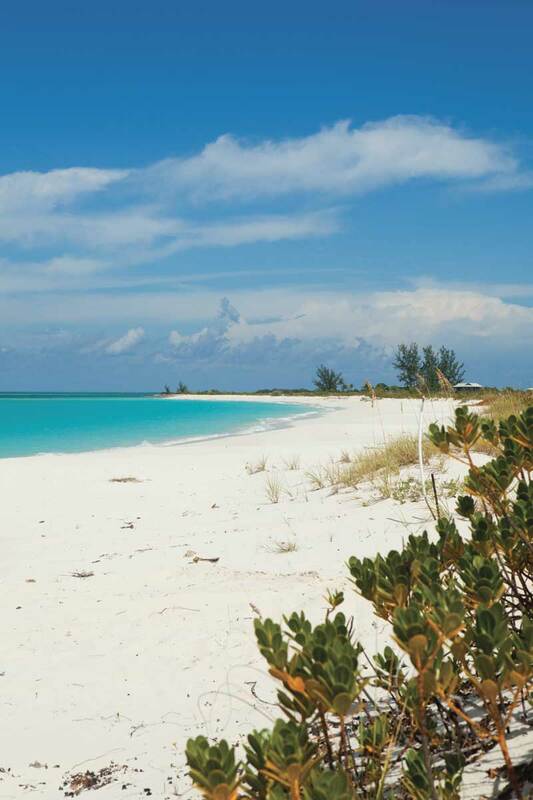 Pine Cay boasts one of TCI's finest soft white sand beaches. Tranquility, privacy, exclusivity and security are hallmarks at each private community, with a variety of locations and amenities to suit every taste. For many families, these qualities are exactly what they need to provide a much-needed refuge from the hectic urban world. Providenciales boasts a superb private jet terminal and daily commercial flights from major hubs including New York, Miami, Toronto, Atlanta, Newark and Charlotte, along with VIP Flight Club service for arrivals and departures, so it is convenient to reach the Islands from almost anywhere. 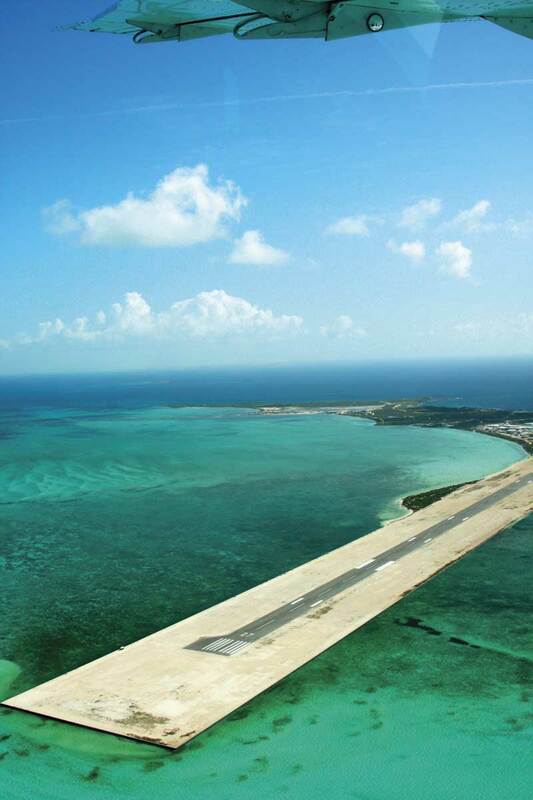 (The recent runway extension at Providenciales International Airport and planned terminal renovation not only opens the destination to more overseas flights, but makes arriving and leaving a more stream-lined process.) With a variety of properties to suit your style, budget and lifestyle, owning a home in a TCI private community to enjoy with your family and friends is an achievable dream. Consider any of the five communities described in this article — four of which are private islands — to find the right vacation home for you. 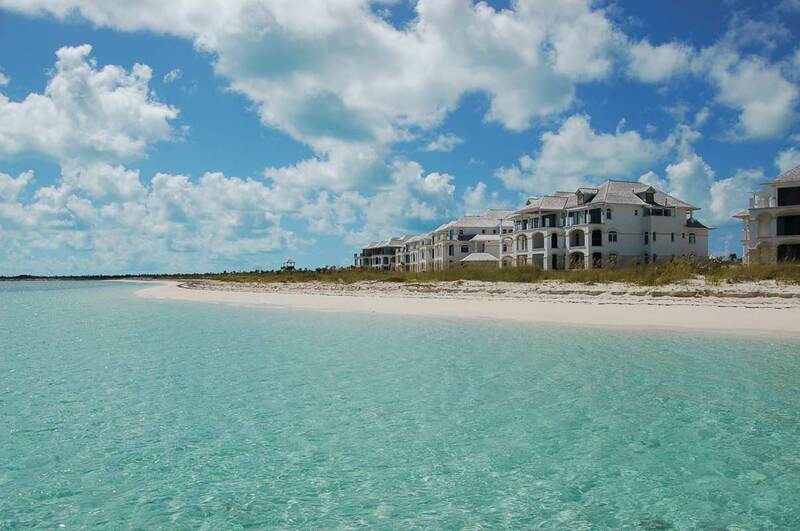 Pine Cay is the longest established private community in TCI. An 800 acre island, with 600 acres of common green space and one of the finest soft white sand beaches in the country, Pine Cay was first developed in the 1970s. It has evolved into an exclusive, privately owned island with very limited membership and only 36 homes. This special island differs from other private communities in that members jointly own the entire island, while individuals own their own properties. The overall management of the island, homeowners’ services and the hotel is an integrated operation, directly supervised by the homeowners. Shared ownership of the capital assets sets the structure of Pine Cay quite apart from all the other private communities, and offers a real chance to engage directly in preserving your asset for future generations. Pine Cay is home to The Meridian Club (a 12 room hotel with gourmet dining). This year, a tremendous upgrade and renovation has been completed on site, refreshing the amenities while preserving the rustic elegance for which the hotel is famous. The hotel functions much as a club house and a social meeting place for the members, with tennis courts, spa, pool, patio bar and lounge. Staff housing, laundry, mechanic shop, boathouse, a 2,800 ft. airstrip and a well protected marina complete the shared island assets. This island glories in the pristine indigenous vegetation, long, sparkling stretches of beach, a massive freshwater lens, inland ponds and quiet trailways — no cars are allowed. With a short 20 minute boat ride from the Leeward dock or 10 minute flight from Provo, you can be in a different world. Another notable difference on Pine Cay is the commitment of the homeowners to the local people and culture. Staff on Pine Cay are most often from neighboring North Caicos, and several generations of families have been employed over the years. Training opportunities for local staff and their families has been very important. The Pine Cay Project is a philanthropic arm that supports literacy, computers and education projects across the TCI. Homes on Pine Cay are modest, reflecting an early environmental pledge to preserve the natural beauty of the island — an ethic upheld to this day. On each of its four shores, members’ homes nestle into Pine Cay and views are protected for all. Pine Cay reflects the local splendor of TCI with simplicity and privacy. This is an island for those who wish to relax in the comfort and familiarity of their own unique home, sharing with family and friends the gentle, natural island lifestyle. Visit the dedicated Pine Cay Realty Services website at www.pinecayrealty.com for more information. Tamarind Villa is part of Parrot Cay Estates. The amazing island of Parrot Cay, its name a twist on its former use as a pirate’s hideaway, came to life in 1998. The existing buildings were renovated, followed by additional construction to bring the beach and spa buildings to full fruition. With its luxurious hotel, world-renowned spa and famous clientele, the resort brought instant fame to TCI as its flagship five-star retreat. The aura can best be described as “an exalted state of being, where natural beauty and elegant simplicity create a rarified atmosphere of peace and tranquility.” A boat service runs from Provo to Parrot Cay for the convenience of hotel guests and homeowners, with a luxurious 48 foot jet drive boat crossing to the island in about 35 minutes. Parrot Cay is a 1,000 acre island and the famous Parrot Cay Como Resort clusters on the eastern end; it includes a 45-room hotel, 12 beach suites, the COMO Shambhala Retreat, an infinity edge pool, a poolside restaurant and a terrace dining room. Early guests wanted to become part of the island, so land was made available for private ownership in the early 2000s on the island’s serene western end. The private homes on Parrot Cay are all relatively new, built since 2001, and are as lavish as their celebrity owners. Parrot Cay Estates is a turnkey project of private residences built by the resort, available for private purchase. The three- and four-bedroom villas are each set on an acre and a half of private land, protected by lush, native vegetation and the rise of the dunes. All the homes are managed separately from the resort, by a special team, to ensure superb service is always at hand. Legendary hotelier Christina Ong is the driving force of Parrot Cay and she continues to own the majority of the island and the Como resort management company. The homeowners have no affiliation with the resort and pay annual dues only for road access and security. Individuals own their own lots and homes built, and there is no membership structure. Owners may or may not choose to rent their homes. With all the amenities of the resort moments away and dedicated concierge, villa management and butler services, this island community offers a combination of privacy and service unrivaled elsewhere. Parrot Cay is for the very wealthy, as land prices and ongoing services are dear, but the lifestyle is a dream come true. Where your every whim is catered to effectively and your total enjoyment is paramount, Parrot Cay attracts those who want to walk the beach, melt into the ocean and totally relax. Contact crawford.sherman@parrotcay.como.bz for more information. On the northwest point of Providenciales, Amanyara is not a private island but its serious isolation from any other development warrants its inclusion in this article! Opened in 2007 by the renowned Aman Resorts group, their vision for the resort was radical, chic and impressive in its realization. With a major design influence from southeast Asia, extensive use of hardwoods throughout and tranquility pools a major part of the landscape, the tone of Amanyara is quite cosmopolitan. Yet at the same time, its secluded location (much of the winding, 25 minute drive from the airport is through pristine tropical “bush”) and careful use of native trees and shrubs in landscaping, lends a natural Caribbean appeal. The 100-acre site is deceiving; it is larger than the size implies, but laid out in a manner befitting a luxury experience. There are 40 pavilion rooms and 20 villas clustered along the rocky shoreline. 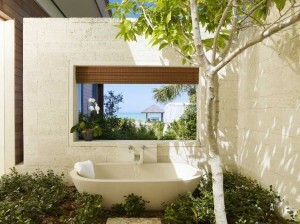 The sun, sea breeze, sights and sounds of the ocean are Amanyara’s key to tranquility. Pavilions interlink gracefully, quiet pathways wind to the homes hidden in dense landscaping, the beach and rocky coves beckon. With two dining areas, a glorious bar and a beach club on the dunes, you are never far from service. Tennis, spa, pool, film lounge, library and fitness center are all on hand. By integrating the private residences and the hotel suites into an overall design, the intimate community element is greatly enhanced. All villas were built by the resort and sold to their owners on a turnkey basis. Each villa centers on a tranquility pool, with separate pavilions for bedrooms, lounge, kitchen and dining. A personal cook and housekeeper are permanently assigned to your villa. Ingo Reckhorn, Amanyara Villa Sales Manager, describes the sheer delight of homeowners on arrival to find their personal mementos in place, most comfortable clothes laid out and their favorite island dinner ready at the poolside dining pavilion. Homeowners are not members of the resort, but belong to a type of strata association, with individual block and parcel ownership on title. The very strong rental program is integral to the Aman approach to selling the private residences, with resort management obligatory. It has been quite successful with no annual dues, as rental income covers most costs. Overall management for the whole community is key to that success, keeping both guests and homeowners happy, and only four villas are currently for sale. Here another type of resident finds their dream —a haven where one walks to the bar at sunset, then ambles home to a poolside dinner created by your own cook. Your preferences become known, wishes anticipated, comfort a priority. Amanyara offers a sophisticated yet cozy atmosphere — a place for you to relax in the splendor of your own home! For more information, contact ingo@amanyaravillas.com. Perhaps the most ambitious private island development in the Caribbean in the past decade, Ambergris Cay is intriguing in many ways. A stunning 1,100 acre island, perched at the edge of the Columbus Passage, it has hills and flatlands, sandy beaches and rocky cliffs and a profusion of TCI’s namesake Turks Head cacti. Development here has been difficult and today has reached a challenging impasse. 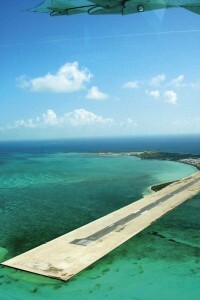 Ambergris Cay boasts the Caribbean's longest jet runway. Unoccupied since the late 1700s, the cay was purchased in 1995 by a TCI resident and group of fellow adventurers. Several years later, developers Dolan, Pollak & Schram (DPS) joined up and plans to create and market the Turks & Caicos Sporting Club took off. The vision for the Turks & Caicos Sporting Club was vast, glamorous and comprehensive. It was a huge vision, anticipating a private retreat for no more than 450 members with a 5,700 ft. paved jet runway with customs and immigration services, medical facilities and staff on island, cluster villages, elegant club facilities and fabulous private homes. Indeed, at its height, a deposit of $10,000 was required simply to view the sale prospectus package. This was a vision for private members, no public rentals and an emphasis on ecotourism activities for the members to maximize usage of the glorious natural environment. The renowned Greenbrier Resort and Club Management Company was to operate the facility. Plans were for experienced guides and naturalists to help residents get the most out of every experience. Extensive training was offered to all staff. Comprehensive planning preceded initial marketing and construction of the project. Homesites were released in stages, by area, with the initial offering in January 2004. As an equity membership club, homeowners purchase the land plus pay a one-time equity fee, with annual dues. Ownership in the T & C Sporting Club was to be a family legacy. Island development is never easy. Getting workers and equipment to the cay, building the critical infrastructure and promoting the development took longer than planned — and cost more than budgeted. Uptake/sales were slower than anticipated and only 200 of the 600 homesites had been sold by early 2010. However, by 2009, all permanent infrastructure was completed: water, power, wastewater treatment, communications, airstrip, welcome center, the Calico Jack restaurant/clubhouse, environmental learning centre and tennis courts, with construction of the spa, yoga pavilion and pool complex underway. At the same time, construction of villas began in several communities. When the on-island managment companies were declared bankrupt in late 2010, it was a stunning surprise and devastating blow to members, staff, and TCI. Fortunately, those owners who completed their homes have sorted out access and services, such that they can enjoy their homes on Ambergris Cay. Going forward, the overall management and ownership issues have yet to be finally and legally clarified, but Ambergris Cay is a truly wonderful project which will come back to life. Katherine Baryluk, broker/owner of Regency International Estates/Turks & Caicos Real Estate Services, the exclusive affiliate of Christie’s International Real Estate, has several properties on Ambergris Cay for sale and she comments, “The trick of the savvy real estate investor is knowing when to buy. Ambergris Cay is a long term investment and with current prices, the investment time is now.” For more information, contact Katherine@tcibrokers.com. Located six miles to the southwest of Providenciales, West Caicos is one of the most captivating islands in TCI, and offers 5,500 acres of a true ecotourist’s paradise. Long stretches of pearly sand dunes, craggy limestone coves, prime scuba diving on the wall, whales migrating past in season, an inland lake full of flamingos, a pristine island never developed . . . all are found on West Caicos. At the dawn of the new millennium, a proud TCI government announced its vision for the “Isle of West Caicos” — a joint venture with local developers that included reserved lots for Belongers, a yacht harbor and a Ritz-Carlton resort community. The current status of proposed Ritz Carlton Resort on West Caicos. The ambitious announcement brought much needed interest and investment into TCI, culminating in the West Caicos Reserve/Molasses Reef project. The well thought out design encompassed the island with three coastal communities of private homes, a 10 acre harbor with full service marina and “Old World” village and a branded five-star Ritz Carlton hotel compound with 125 rooms, three restaurants, a spa and a range of guest facilities. The tone was set for a low density, low impact and environmentally friendly development with access by small plane or helicopter and regular boat ferry service from Provo. West Caicos was to be a point of entry into the country with immigrations and customs clearance on site. With a great start in late 2001, the natural salina was dredged and lined to create the harbor, with construction on selected buildings commencing in 2003. Sales were good and through to 2008, positive press coverage continued, as the project was nearly 3/4 complete. But the collapse of Lehman Brothers, the major financier, in September 2008 was catastrophic. And so the island has languished, the partially built hotel and villas standing abandoned, legalities dangling, fate currently unknown. After local rumors circulated that a team of European investors were inspecting the property, with an eye to bringing it back to life, the TCI Government released a press statment in late October 2011 from Governor D.R. Todd, “There is a proposal by serious investors to take over and complete the West Caicos development.” Hopefully, this will move forward soon as the grand vision for West Caicos still holds tremendous appeal. Beachfront parcels are currently available for sale there, with prices reflecting the current slow realty market. Katherine Baryluk of RIE/Turks & Caicos Real Estate Services, the exclusive affiliate of Christie’s International Real Estate, notes, “If you are ever going to invest in a downturn market, this is the time, and it will not last much longer. With private islands, you are placing yourself among ultra high net worth individuals and that holds value.” For more information on West Caicos, contact Katherine Baryluk at katherine@tcibrokers.com. Suffice to say, for those seeking privacy and tranquility in TCI fabulous choices abound — each with their own costs and benefits. The lifestyle of a private community is not for everyone. These five developments stand apart from gated communities on Providenciales through geographic and self imposed isolation. One cannot drive down the highway to a different restaurant, go shopping at another plaza or visit the grocery store. Instead, residents of these exclusive private communities merge into the atmosphere of their retreat by design, relishing the peacefulness of going nowhere . . . except the beach, or course. Sara J. Kaufman has lived in TCI for 17 years, partnered in the development of the Blue Horizon Resort in Middle Caicos, co-founded the Middle Caicos Co-op to promote traditional TCI culture and handcrafts, travels extensively throughout TCI, writes widely on realty topics and manages Forbes, Forbes & Forbes Ltd. real estate brokerage. Sara developed a dedicated realty service for Pine Cay in 2005 and has sold many properties there over the years. Keeping abreast of the private island and private communities of TCI, each with their own lifestyle and advantages, is her special area of expertise. By choice she relishes privacy and tranquillity, living on Middle Caicos with 50 square miles of pristine island and only 300 residents. For further information on private communities, or realty in TCI, please contact sara@forbesrealtytci.com or call 1-649-231-4884 anytime.